21st February 2013, Lilongwe, Malawi. UbuntuNet Alliance, the regional research and education network for Southern and Eastern Africa announces the appointment of Professor Stanislaus Bernard Lwakabamba as the new Chairperson of the Alliance with effect from 15 April 2013. Professor Lwakabamba will succeed Professor Zimani Kadzamira who stepped down from the position on12th February 2013, after serving the Alliance with distinction for two 3-year terms. The appointment of Professor Lwakabamba follows the successful completion of a search process by a Search Committee established by the Secretary General of the Association of African Universities (AAU), in accordance with Article 8.1 of the Deed of Incorporation of UbuntuNet Alliance. Professor Lwakabamba is a distinguished academic who has a long association with the critical role of ICT in the development of education at tertiary and other levels. A mechanical engineer by training, he attained the rank of Professor as long ago as 1981. 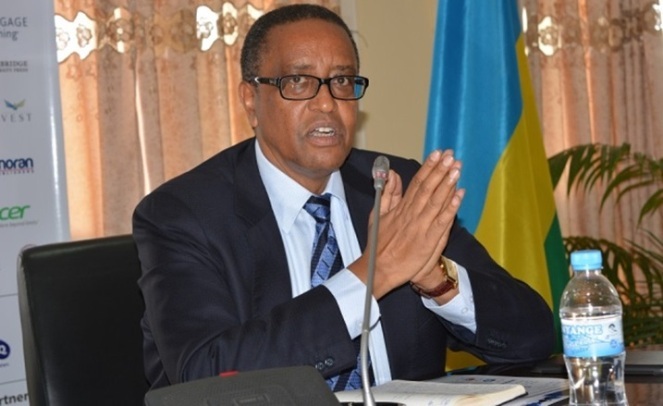 He has served in a variety of leadership positions including founding Rector of Kigali Institute of Science and Technology (KIST); participant in setting up of the African Network of Scientific and Technological Institutions (ANSTI);outgoing chairperson of the Inter-University Council for East Africa, and is currently Rector of the National University of Rwanda. The outgoing Chairperson, Professor Zimani Kadzamira, former Vice Chancellor of the University of Malawi, said, “I am happy that the process of choosing my successor has gone smoothly. My six years as Chairperson has seen UbuntuNet Alliance grow to be the key player on the African continent in research and education networking. I wish Professor Lwakabamba every success in leading the Alliance as an important partner in the AfricaConnect project. I appreciate the participation of our valued Board Members whose active involvement allowed us to promote the network. With the continued support of the Board I know Professor Lwakabamba will be an invaluable resource as he brings a wealth of expertise in technology and a wide network of contacts to help in expanding the efforts of UbuntuNet Alliance”. “I would like to thank Professor Zimani Kadzamira for his work as Chairperson of the Alliance for the last six years. He has done an extraordinary job for us. Many thanks for all his contributions to the Alliance”, said Dr Francis Tusubira, the Chief Executive of UbuntuNet Alliance. “On behalf of the entire UbuntuNet Alliance community it is a pleasure to congratulate the new Chairperson for his appointment and to wish him a successful tenure in this very important position”. As Professor Kadzamira stepped down, Dr Iman Abuel Maaly Abdelrahman, the Deputy Chairperson, acts as Chairperson of the Alliance until the 15th of April 2013 when Professor Lwakabamba will start his tenure of office.